Growing Tomatoes - Does Red Mulch Help Tomatoes Ripen Faster? Are Colored Plastic Mulches Better for Your Tomatoes? Does Colored Mulch Improve Tomato Growing? How Does Red Mulch Work? Whether red mulch means the end of late season green tomatoes remains to be seen. However, colored mulches in general appear to do a better job of warming the soil than black plastic, which at least gives your plants a head start. Montana State University did a 2 year study that found silver and red mulches did speed ripening in tomatoes and that black mulch was not much better than no mulch at all. At Penn State, they found that blue mulch did an even better job of increasing tomato yields. However none of the colored mulches was as good as black plastic for suppressing weeds. What Does This Mean to You, as a Tomato Grower? If you’re determined to grow the more and better tasting tomatoes each year, red mulch is worth a try. 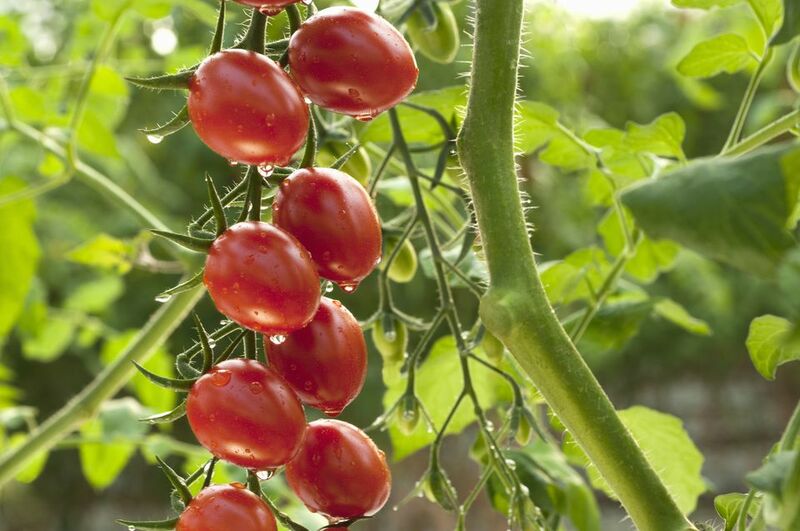 What Companion Plants Can Help Your Tomatoes Thrive?